I’ve been unfortunately slow to come around to Nikitas’ work — despite a recommendation several months back from Wendy Brenner, one of Nikitas’ former professors in the MFA program at UNC-Wilmington. But after those reviews, I was doubly eager to delve into The Long Division, and now after reading it, I can only add my own praise to what’s already come before. The book is a marvel — relentless and rich with emotion. A young housecleaner steals cash from a client in Atlanta and sets out on the road in search the son she gave up for adoption; that son is eager to hit the road himself, struggling with his sexuality and his sense of place and looking for something other, something more. A college student in western New York takes a ride himself — with an old friend, in this case in search of the friend’s sister — but this ride is shorter, brutal and ugly. The bloodbath that’s left in the wake of that ride brings in another character, a sheriff’s deputy whose involvement in the case is more complex than people know and who’s trying to balance trouble in his own family: his wife’s fatal illness, an impending sense of loss. I had the good fortune of chatting with Nikitas about The Long Division in a recent email conversation. I’m glad to share that here. Art Taylor: The Long Division starts off in some pretty dark places — and then things just get more complicated, more bleak, from there. Do the various plotlines emerge from the idea that good drama requires trouble and turmoil — take a character, add conflict and lots of it — or do the events of the novel ultimately represent a darker worldview overall? Derek Nikitas: I believe good story is conflict — internal and external — from the first sentence to the last. Not much pausing to watch the sunrise. This may account, perhaps, for some readers’ sense of relentlessness in my storytelling. But I should also concede that my worldview is pretty pessimistic, and, unfortunately, writing fiction is a great occasion for thinking too much. I indulged my maudlin nature full-on in The Long Division, but I’m leery of doing it again, if only because bleakness is rather alienating to readers. I’ve yet to find the balance between telling the truth and providing a satisfying, cathartic read. I hope to, but maybe it’s hopeless. The settings of the stories here draw on cities and regions where you yourself have lived and worked, and I was struck throughout the book (so far!) by your descriptions of place, often menacing in its own way. How has place informed your writing? And how much are these places imagined instead of depicted? …by which I mean, for example, was there really a sign that seemed to say “Jesus Saves” from a distance and then up close “Jésus Saves Up To 35% With Farmer’s Security Insurance”? Even though I fictionalize and embellish settings a bit, I’ve only felt comfortable writing about places I know intimately, down to the smell in the air. I try to stick as close to truth as possible because I want the reader to truly feel that my settings are “lived in” instead of viewed from a distance. I don’t want my places to seem arbitrary. An earlier draft of Division depicted the Pittsburg Greyhound station as grimy and sad, but then I visited it, and it was brand new, pristine. So I revised my vision of the station. But I also choose the details that set the mood. Even a pristine locale can have something eerily sterile about it. I describe them in ways that set the mood, usually dark, even if the place is as sunny and pleasant as Wilmington, North Carolina. For instance, the “Big Chicken” landmark in Marietta, Georgia is pretty kitschy, but I chose to give it a sinister slant in the book, like an angry god sitting in judgment. Sometimes, though, the details are totally fictional, like the “Jesus Saves” billboard. I doubt anyone could actually get away with such an advertisement, especially in North Carolina. Your style is very distinctive — wonderfully so: a sharp sense of detail, lyrical turns of phrase, some really crisp similes, the alternation of fragments with more flowing sentences and descriptions. Does this style come naturally to you or is it more self-consciously crafted and revised? Lyrical flourishes rarely happen naturally for me. It’s the result of hitting the backspace button a lot, consciously considering sentence variety and rhythm, etc. I’ve only become more self-conscious over time, though I’m actually trying harder to pare down the prose, make it less constantly “lyrical.” When a good simile or turn of phrase does happen, I want its rarity to strike harder in relation to the steadiness of the prose around it. I’m also simply a fundamentalist about the notion that sense detail is the key to good prose. For me, it’s about the quality of the image in the reader’s mind, not the decorousness of the words on the page. Are there writers who’ve particularly influenced your own writing — either style or structure? I look to Joyce Carol Oates for lessons in psychological depth and insight. Thomas Hardy is a great model for the structure of melodrama, plus his worldview jives with my own. I deeply admire James Ellroy for his labyrinthine plots and character arcs. Denis Johnson, Dave Goodis, Dashiell Hammett and Jim Thompson have taught me restrained lyricism and economy. 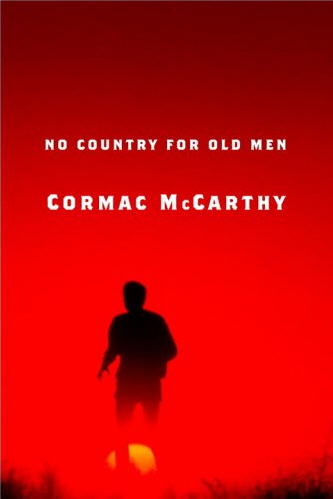 Cormac McCarthy, for those moments when it’s time to bust loose with language. I’ve learned quite a bit from reading Michael Connelly, Dennis Lehane, Flannery O’Connor, the poets John Berryman and Philip Larkin and Emily Dickinson, of course. I could go on, but the king of them all is Nabokov. To catch only a stray ember of his fire is my aspiration every time I touch the keyboard. Any writers you admire but can’t read too regularly or in too large a dose? Some of these I can’t read when I’m writing because I catch their viruses too easily: Ellroy, Nabokov, McCarthy, and the poets. Several reviewers have likened the style and motifs of the new book to independent cinema and even to specific movies or directors. Do you consider your own style to be cinematic? Has film in general— or any particular films — influenced the style or substance of your work? Absolutely. I’m obsessed with films. I was pleased to see the cinematic comparisons in those reviews because that was partly my aim. I’m particularly excited by French New Wave film, like Godard’s Breathless or A Band Apart or Truffaut’s Shoot The Piano Player. I see the comparisons to American Independent films, like Tarantino or the Coen Brothers, but what thrills me about their films is what they borrowed from the French in the 60s or the great American crime films of the 70s. To be fair, of course, all these films also borrow from classic roman noir — Hammett, Chandler, Goodis, and Thompson, among others. So I go back to those books for inspiration, not to mention their current counterparts, like Ellroy, James Sallis and Megan Abbott. But basically, I wanted to write a French New Wave movie as a novel — dark, yet jumpy and youthful and a little bit punk — and the “jump cuts” between scenes were part of that effort. So my interrupted, dashed sentences are an homage to Godard’s editing style. Given the stellar reviews that have greeted The Long Division, any worries about a “sophomore slump” should be long gone. But did the success of Pyres intimidate you as you worked on the second novel? And what did you learn from completing a first novel that altered your approach in any way on the second? After Pyres, I channeled most of my worry into deciding what project to do — should it be a full-on mystery? how supernatural? I worked through quite a few ideas for over a year, while friends of mine started and finished one or two books apiece. When I finally settled on The Long Division, I knew it was a risk, because the book was much darker and more character-centered than Pyres. Less commercial. After Pyres I was able to reflect on my Freshman tendency to overwrite and substitute lyrical bombast and spectacle for characterization. The Long Division is much better than Pyres at restraining those tendencies. To my surprise, it also seems to move faster and be more suspenseful than Pyres, even if it has fewer plot devices. You earned an MFA from UNC-Wilmington and are pursuing a PhD at Georgia State. My impression has been that many (perhaps most) such grad school programs see a significant divide between so-called literary fiction on the one hand and genre fiction on the other and may tend to stigmatize or even dismiss the latter — and when you yourself go from crime fiction to zombies, you may really be riling the ranks. What was your experience as a “genre writer” in MFA workshops and in your current program? How have those experiences deterred or enhanced your work? I agree that formulaic writing is often disappointing because it engages the reader only on one, too-comfortably-familiar level. But “literary fiction” is a genre, or a catchall for a group of genres like magical realism, domestic realism, southern gothic, minimalism, etc. It has tropes, just tropes that are different from the mystery, or sci-fi, or whatever. Equally as much “literary fiction” is formulaic, like the formula for the “Chekhovian story” (aka, the “MFA” story). A conscientious teacher of writing should recognize and champion all of the above. We can’t all be Chekhovians, though some of us want to be Chekhovians, and should be encouraged to follow in his footsteps as we explode the formulas that have been extrapolated from his work. I want to tell the haters to look around. The Modernist divide is largely gone. We’ve cross-fertilized. Cormac McCarthy, Michael Chabon, Jonathan Lethem, Kelly Link, Karen Russell, Joyce Carol Oates, Toni Morrison, Justin Cronin, Junot Diaz. How many current, big-name award winners do we need to name before we concede that the genre tropes of ghost stories, adventure stories, crime stories, vampire stories, fairy tales, gothics, superhero stories, dystopias, and fantasies are flourishing in literary fiction? I was lucky to work with faculty at UNC Wilmington who encouraged my writing experiments no matter where those experiments took me. Wilmington is where I took classes that introduced me to classic hardboiled crime and the great genre films of the ’60s and ’70s. Wilmington’s where I learned to write novels that consider their audiences and seek to entertain. It’s where I learned that good plotting is the hardest element of the craft and is not a cop out. It’s also where I learned that subtlety and originality of expression and characterization can push good work to the next level of quality. I know my “genre tendencies” quietly disqualify me from certain opportunities, but they’ve also opened some doors, not the least of which is a modest but actual readership. I’m invigorated knowing that my writing is faithful to my own readerly interests. I’m also deeply satisfied to know that, as a teacher, I add a new flavor to the mix. My students hear a variety of advice from my colleagues and me, some of it contradictory, oh my! Our students must think deeply without passive acceptance. They must experiment and evolve and follow the advice that serves them best for the project at hand. Isn’t that how it should be? We are a small, independent literary press located in Cleveland, Ohio. We are wondering if you would be willing to interview our authors as their novels become available. We have just published Stavros Stavros’ second novel, THE SENTIMENTALIST, and would love to get an interview with him about that novel. Is this possible? I was blown away by Pyres and have remained curious about this huge new talent. Thanks for publishing this interview. He didn’t seem to answer your (good) question about why he’s bothering to pursue a PhD, but maybe he’s just covering all his bases. I can’t wait to read Long Division. I read The Long Division and i must say it’s one of the best novels iv’e read so far.